Maria Fominykh’s final report on the Tal Memorial at ChessPro included interviews with two of the winners, Sergey Karjakin and Levon Aronian. Both players talked about the main event, but also the upcoming blitz. 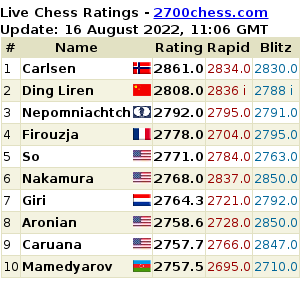 While the final round of the Tal Memorial provided all the human drama you could hope for, the chess itself at times perhaps left something to be desired. 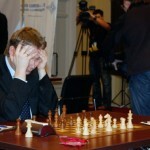 For instance, Shipov describes Grischuk – Nakamura as “a game of woefully poor quality”. 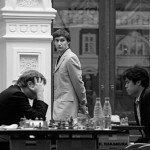 The sensation of the eighth round was Sergey Karjakin’s crushing win over Vladimir Kramnik. Shipov’s report begins, “generational change is inevitable”. Other highlights include the awakening of the “lion” Shirov, and Nakamura and Gelfand paying tribute to Capablanca and Alekhine. 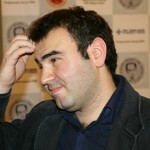 While round 6 didn’t set any records for fighting chess, Grandmaster Shipov does a good job of explaining the opening subtleties that pass the average chess fan by. 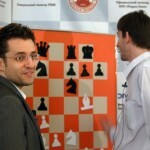 Highlights include an unfortunate “butterfly effect”, and Gelfand choosing a line that’s “not going to trouble giants”. 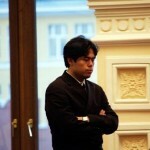 Shipov’s impressions of Round 5 included holding back some analysis for his friend Boris, dismissing the “iron lumps” of computers and describing Shirov and Nakamura as players capable of “turning even a dry endgame into a fierce and ultra-complex thriller”.